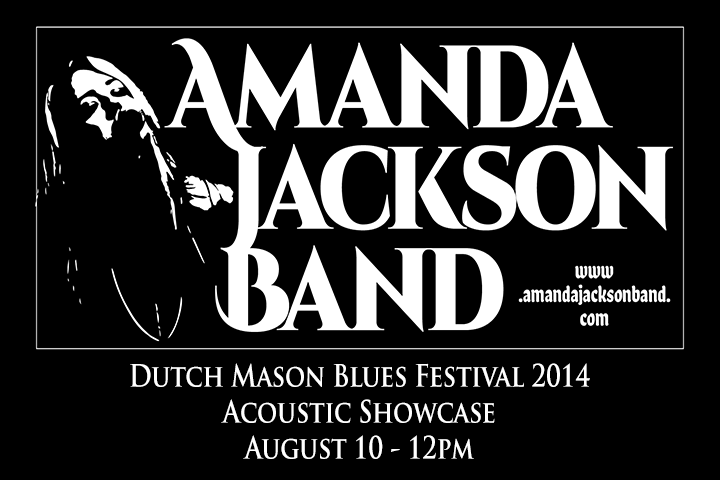 Amanda Jackson Band: We're Playing Dutch Mason Blues Festival. Tomorrow! We're Playing Dutch Mason Blues Festival. Tomorrow! That's right. We'll be opening the day at the Acoustic Showcase! We're absolutely thrilled to have been invited to this wonderful festival. The setlist is ready, we're pumped, and we hit the road first thing in the morning. We're on stage at 12 noon and we look forward to seeing many of you there!